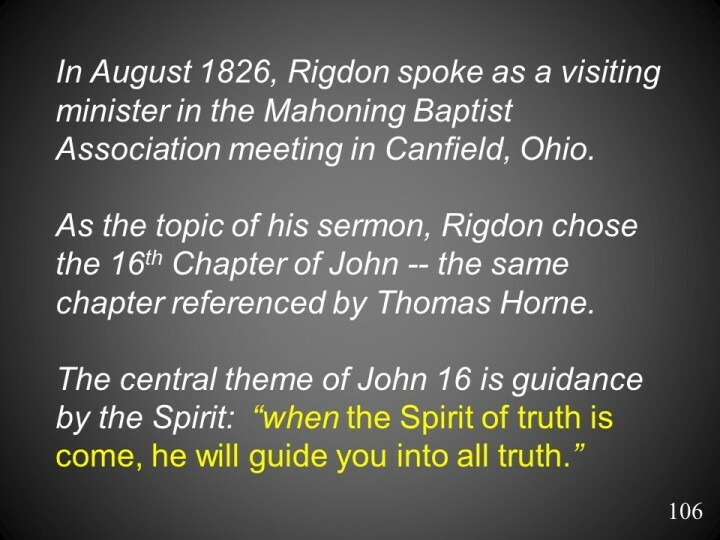 The report of Rigdon preaching from John Chapter 16 is from Richard S. Van Wagoner. 1994. Sidney Rigdon: A Portrait of Religious Excess. Signature Books, p. 640.